The Quebec City police department has found itself in some hot water for using an intimidating poster of Chuck Norris. The poster in question is from Norris' 1985 movie Invasion U.S.A. in which the actor and martial arts expert plays the role of a man "pitted against communists from Cuba during the Cold War." In the movie's poster, Norris can be seen looking pretty badass, holding an Uzi in each hand. However, the image was used in an effort to allegedly intimidate protestors at last summer's G7 summit. Canadian political-science professor Francis Dupuis-Deri is not happy about the Quebec City police department for using the Chuck Norris image on the side of one of their vans to transport protestors from the G7 summit. Dupuis-Deri believes that the Invasion U.S.A. poster was used "to intimidate protesters and, in doing so, diminished the public's trust." The image is pretty intimidating, but then again, what image of Chuck Norris isn't? Dupuis-Deri had this to say about the police's use of the image. "I thought that was in really bad taste and that it was a form of intimidation and threat from the police toward the public and the protesters." Francis Dupuis-Deri recently filed his complaint with the Quebec police ethics board against the nine police officers who were on duty during the G7 protests. The police department and the office of Quebec City Mayor Regis Labeaume have not commented on the matter and state that the matter is now in the hands of the ethics board. 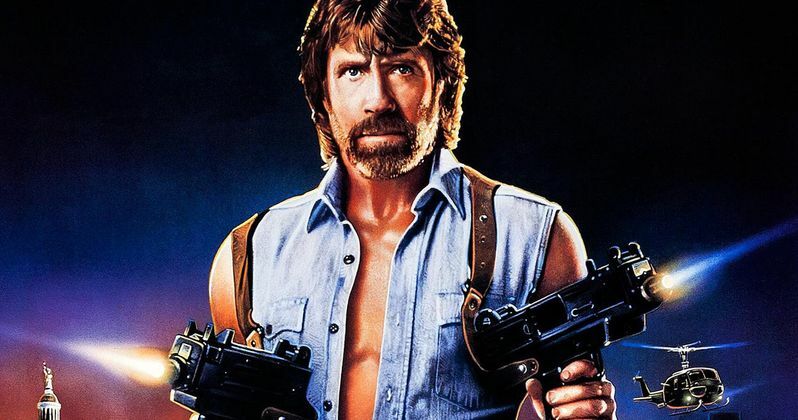 Chuck Norris has also not commented on the matter, but he was probably celebrating his 79th birthday over the weekend and doing something crazy. Chuck Norris will probably brush this incident to the side, as he doesn't have time for such things. However, when considering past comments, the martial arts expert and actor may be upset that his image could have been used in a way that could have caused harm to others. When recently asked about his name becoming a meme phenomenon, he had this to say. "My answer is always the same: Some are funny. Some are pretty far out. And, thankfully, most are just promoting harmless fun." Some may argue that the Quebec City police were just having some harmless fun, but Francis Dupuis-Deri is taking the matter very seriously. The 44th annual G7 summit was held in Quebec from June 8th to the 9th last year, and was comprised of leaders from Canada, France, Germany, Italy, Japan, the United Kingdom, and the United States. The summit was notable for a significant decline in relations from the United States with more than one country calling out US president Donald Trump for isolating the country and championing Russia. Needless to say, there were a lot of protestors there, and more than a few weren't too pleased to see an image of Chuck Norris wielding two rifles on a police van. This news comes to us from the Montreal Gazette. Des agents du Service de police de la Ville de Québec et un autre de la Sûreté du Québec sont officiellement visés par une plainte devant le Commissaire à la déontologie policière.